Lee Spencer, 49, who lost his leg in an accident, has completed the fastest unsupported solo row across the Atlantic. The Defence Secretary has confirmed that the Royal Marines bases at Chivenor and Norton Manor will not close after much speculation. Prince Harry dropped in to see the newest recruits to join the Royal Marines at Lympstone in his new role as Captain General. 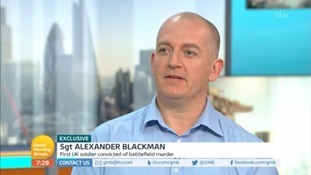 Sergeant Alexander Blackman from Taunton was jailed for killing a wounded Afghan fighter. Prince Harry is now the Captain General after the Duke of Edinburgh bowed out from his long association with the Royal Marines. Hear the Invictus Games medallist describe his personal highlights and give his plans for the future.